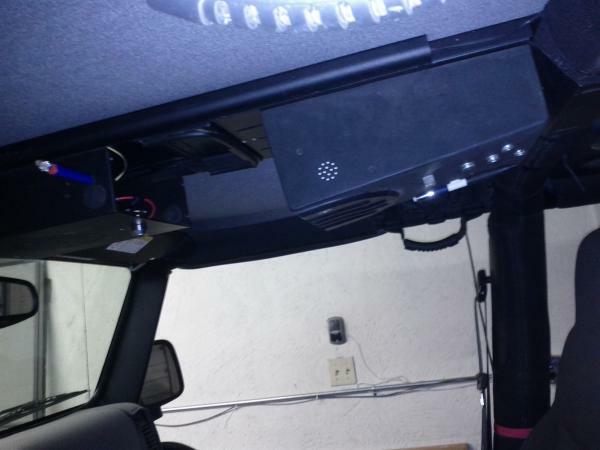 The first major modification I did to the Heep was to add a Tuffy radio console. I chose this console because my gun safe fits perfectly on the main support member, it installs overhead, has an adequate lock, and is reasonably-priced. 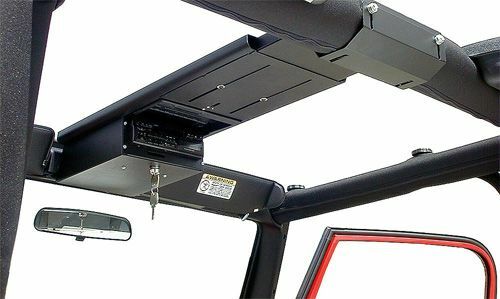 Installation was NOT trivial, and I permanently lost the ability to fold my windshield down. But I can't be too disappointed about this, because I can't for the life of me guess why someone would want to drive around without a windshield anyway. The hardest part of the installation was grafting the gun safe to the main support member. The construction of the console mandated that I install the console first, and the safe second. 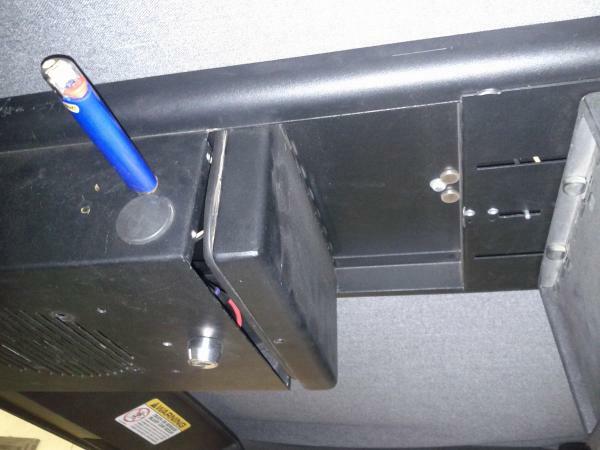 And this meant fishing around in the support member with a magnet and an endoscope to properly position the nuts that hold the safe. After about 5 hours of large forces being exerted in small spaces, I managed to get everything securely bolted together. You can see various objects that I've glued magnets to and stuck to the heavy steel of the console. The radio box came with some generic face-plates that didn't quite make sense for my application. So I ended up discarding them. At a later date, I will be building a new face-plate that is fitted for my radio and the controls I want. The only complaint I have with Tuffy's console is that the retainer pin for the console lid jammed up a few months after I installed it. I believe the cause was a kinked spring. 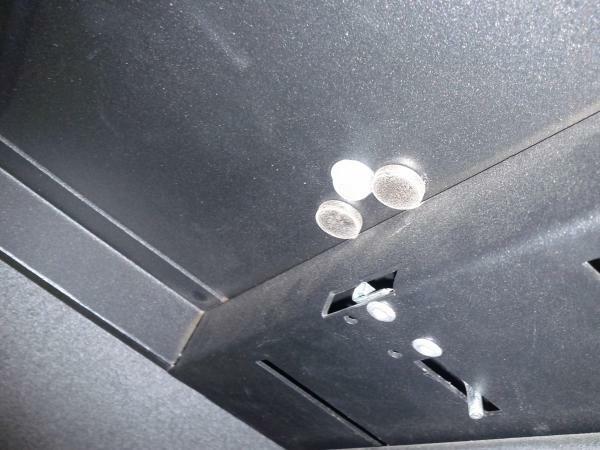 And since repairing it would have entailed taking the whole console apart, I left it broken and glued a few neodymium magnets into the recessed area that the lid swings into. This was a far-superior retaining mechanism anyway. I still have a lot of work to do inside of the radio box. But for now, I will consider it completed.